Honorees from the CSI Leadership Recognition Program pose for a picture in the Student Union Building. Education expert Dr. Peter Ewell will be visiting Truman May 14 for a campus-wide dialogue concerning the Degree Qualifications Profile (DQP). The event runs from 12-2:30 p.m. in the Student Union and will include lunch, breakout sessions and an open forum with Ewell. In addition to being a nationally known education expert, Ewell is a former member of the Truman Board of Governors and was a consultant to the University during the mission change in the 1980s. More information is available at luminafoundation.org/publications/other_pubs.html. RSVPs are required by May 6 and can be made at eventmanager.truman.edu/generallist.asp. 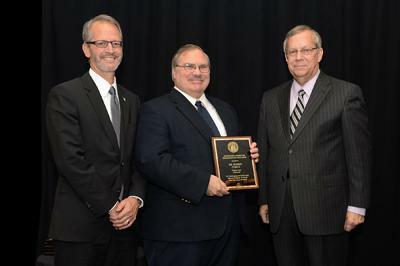 Warren Gooch, professor of music, was given the Governor’s Award for Excellence in Teaching April 3 at a luncheon at the University of Missouri. Excellence in Teaching Awards Luncheon April 3 at the University of Missouri. Each year, the Governor’s Award is presented to one faculty member at each institution of higher education in Missouri. Gooch was the recipient of the 2012 Educator of the Year award at Truman. He was one of 15 recipients across the state that was honored with the award. The awards, which are not monetary, are based on effective teaching, innovating course design and delivery, effective advising, service to the university community, commitment to high standards of excellence and success in nurturing student achievement. This year’s featured speaker at the luncheon was Jack Magruder, Truman President Emeritus and Professor of Chemistry Emeritus. 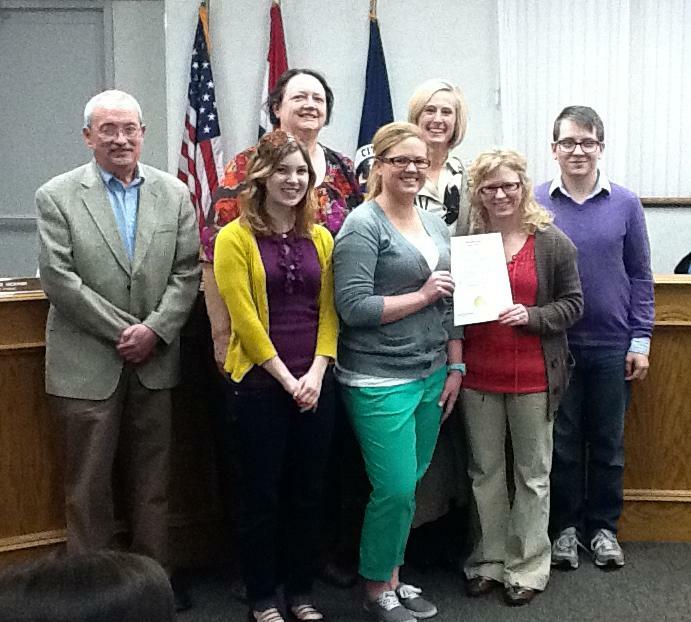 Students and faculty members from Truman graduate programs accept a proclamation in recognition of Graduate Education Week from Kirksville Mayor Richard Detweiler during a city council meeting April 15. Universities from around the state celebrated Graduate Education Week April 13-20 in an effort to increase public awareness about the impact and outcomes of graduate education. Currently, graduate degree programs in Missouri are preparing more than 60,900 students for leadership in their fields. Pictured, front row, left to right: graduate students Amy Sanders, Sara Mennemeier and Jourdan Nichols. Back row, left to right: Detweiler; Shelia Garlock, assistant professor of communication disorders; Janet Gooch, dean of the School of Health Sciences and Education; and David Giovagnoli, graduate student. 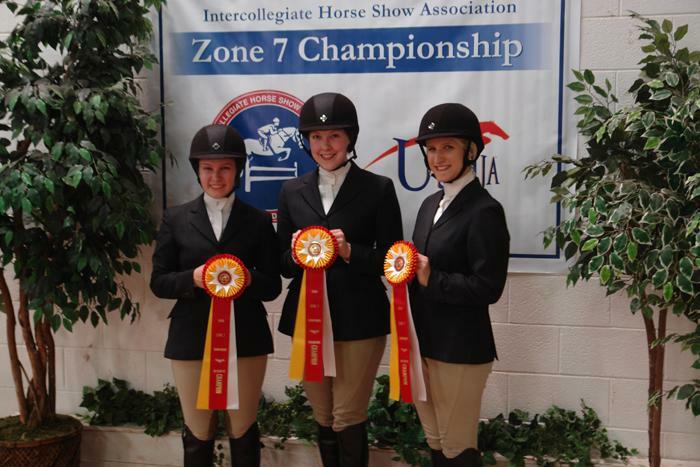 After competing in Zone 7 Championships, three members from the Truman Equestrian Team will advance to the Intercollegiate Horse Show Association National Championships. The Zone 7 Championships took place April 6 at West Texas A&M where Caitlin Shaefer, Danielle Witt and Elizabeth Miller all qualified for nationals. Schaefer placed second in the walk-trot equitation, Witt was awarded second place in the novice equitation on the flat and Miller placed second in the open equitation on the flat. Zone championships are the final step for IHSA champions. From this competition, the top two individuals qualify to move on to nationals. Miller, Schaefer and Witt will travel to Harrisburg, Pa., for the 2013 national competition May 2-5.
second place ribbons in each of their events. The Truman Forensic Union earned top debate honors at the National Forensic Association’s national championship tournament hosted by Marshall University in Huntington, W. Va., April 18-22. Myra Milam, a junior communication disorders major, was awarded the first place speaker award in the Lincoln-Douglas Debate Division, topping 67 qualifying speakers from around the country. Milam also reached the final round of single-elimination competition, taking second. This marks the first time that a Truman student has won the first place speaker award or competed in the final debate of the tournament. Maddie Ebert, sophomore political science major and Milam’s teammate, reached the octafinal or “sweet sixteen” round of the tournament. Nick Gorman, junior economics major, reached the double-octafinal round. Gorman was also ranked the 10th best speaker in the tournament. The team placed third overall in the nation in sweepstakes competition, a cumulative measure of performance among all Lincoln-Douglas competitors. Qualifiers for the national tournament contributing to these team awards, in addition to Milam, Ebert and Gorman, include: Mackenzie Barnes, Alex Bisges, Blake Bixler, Codi Caton, David Cook, Alex Gregor, Max Highsmith, Dillon Laaker, Arielle Long-Seabra and Sarah Muir. This concludes the competitive season for the Forensic Union. in the Ophelia Parrish Performance Hall. Michael Bump will be directing the ensemble. 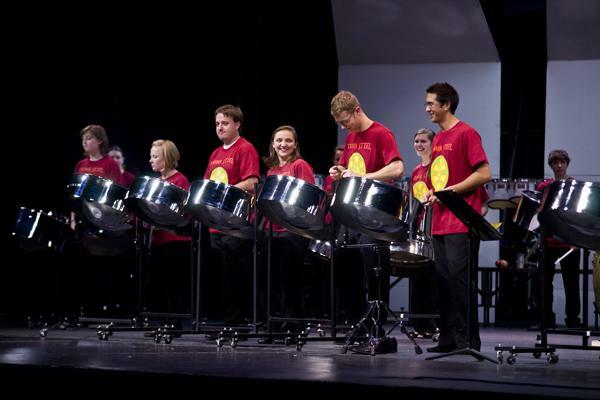 socas, afro-cuban and jazz-fusion arrangements for the steel band. Admission is free. Due to inclement weather, the Lee Brice concert will now take place at Pershing Arena and rain site tickets will be required. Currently the concert is sold out. Two lines, one for ticket holders and one for non-ticket holders, will be formed before the doors open. If space is available, the Student Activities Board will allow non-ticket holders in 20 minutes prior to the show. Doors will open at 7:30 p.m. with the concert is scheduled to start at 8:15 p.m.
For more information, contact the Student Activities Board Office at 660.785.4722 or visit sab.truman.edu. Lee Brice, an American country music performer, began his musical career writing songs for other performers, including Jason Aldean and Garth Brooks, before signing to Curb Records and releasing his own debut single in 2007. Since then, he’s had multiple singles debut on the Billboard Hot Country Songs chart, including his single “Love Like Crazy,” which broke the record for longest charting country single in Billboard history after spending more than 56 weeks on the chart. “Love Like Crazy” also warranted Brice with nominations from the Academy of Country Music, as well from the Country Music Television Music Awards. Some of his other chart topping singles include “A Woman Like You,” which recently debuted at No. 1, “Hard to Love,” and “I Drive Your Truck,” his most recent single. Nearly a quarter of Truman State University students who participated in the Big Entertainment Survey listed Lee Brice as a preferred artist. 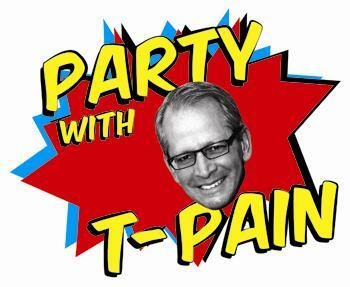 Graduating seniors have the opportunity to receive an invitation to “Party with T-Pain” May 6. To receive an invite, seniors can give a gift of $20 or more to any University fund by May 1. Students may choose any Foundation fund that is important to them. Possible funds include a variety of of general scholarship funds, athletic and academic department scholarships. For more information, or details concerning the invitation, a donation or the Foundation funds available, visit alumni.truman.edu/Graduates/2013/PartyWithT-Pain_Main.asp or call 660.785.4133. Plants for sale include house and tropical plants such as orchids, bromeliads, cacti, succulents, palm trees and many other healthy house plants. Most plants are $5 or less. Temporary parking permits are available at the Department of Public Safety. All funds used for operational costs of the University greenhouse. The sale is open to the public. The event will feature a social prior to 10 rounds of trivia and will have many auctions and door prizes. The event is open for individuals or teams up to eight people. Truman Faculty/Staff Discounts are available. For more information or to register by May 1, call Jeri Speak at 660.785.4235 or visit TrumanBulldogs.com. Pickler Memorial Library will be open until 2 a.m. Sundays –Thursdays through May 9. The library will provide free coffee and hot chocolate starting at 11 p.m. for those late night study sessions. Don’t forget to bring your travel mug. Compliments of the Library Book Sale Fund and Sodexo. How Does Truman Measure Up? While incoming students may have very high expectations for Truman, it appears that overall their expectations are being met by the time they graduate. In 2012, 88.1 percent of first-year students surveyed reported that “academic experiences… will be the most important part of college.” At the same time, 90.7 percent of senior “students evaluated their entire educational experience at Truman as good or excellent,” and 84.5 percent of seniors reported they “would probably choose Truman again if they started over.” You can access this data, as well as other interesting facts about how Truman is doing via the Assessment Almanac, at assessment.truman.edu/almanac/index.asp. Specific areas may be closed for periods of time without advance notice for cleaning or contractor projects. Students, faculty and staff interested in receiving emergency notices through the text messaging function on their phones can sign up for this service through TruView. On the TruView main page under “Update and View My Personal Information” click on “Emergency Text Messaging.” The Emergency Response Guide is also available on the DPS website at police.truman.edu. Five classics students from Truman, Kathleen Donelson, Madeline Oberman, Callyn Burgess, Hannah Lantz and Claire Drone-Silvers, assisted in running the Missouri Junior Classical League convention in Columbia, Mo., April 19-20. The convention takes place annually to showcase and celebrate the talents of Missouri’s middle and high school-aged scholars of Greek and Latin, through academic and creative arts competitions. Drone-Silvers also served as the 2012-13 secretary of the Missouri Senior Classical League. They were accompanied by Truman graduate English student and classics alumnus David Giovagnoli, who was elected state co-chair for the 2013-14 academic year, co-leading a committee of Latin teachers from across the state to plan the next convention and other MOJCL activities. Two classics students from Truman, Jordan Dillon and Hannah Lantz, travelled to Wake Forest University from April 5-7 to attend the 85th Annual Eta Sigma Phi convention, as national officers of that organization, the national collegiate classics honorary society. Elected at the previous convention, Dillon served as the megas hyparchos (Grand Vice-President) and Lantz served as the megale crysophylax (Grand Treasurer). This was the first time that two national officers have been from the same university since the early days of the organization, and this was the third year that Truman has had national officers. In addition to their magisterial duties, the two were part of the winning certamen (quiz bowl) team. Jerrold Hirsch, professor of history, is acting as a consultant to an exhibit being organized by the Frazier History Museum, Louisville, entitled “American Eye/Kentucky Hand: The Index of American Design in Kentucky.” The exhibition is scheduled to open in early 2015. He attended a planning meeting at the Museum, April 9. Many Truman faculty, staff and students are involved in helping raise money and gathering canned food for multiple local organizations. One of those organizations is the Food Bank of Central and Northeast Missouri at sharefoodbringhope.org. Walmart is splitting $3 million to 100 different food banks across the county and the decision on who gets that money is based upon the number of votes each one gets through April 30. A person can vote every day. To vote, go to wm8.walmart.com/Hunger. The Staff Council BBQ will take place from 11 a.m.-2 p.m. May 3 at the University Club for all University staff. The menu includes grilled hamburgers, hotdogs, veggie burgers, fresh fruit and vegetables. Attendees are encouraged to bring a dessert to share and to remember to sign up for door prizes when they arrive. RSVP via email to cdavis@truman.edu. An RSVP is not required but greatly appreciated.